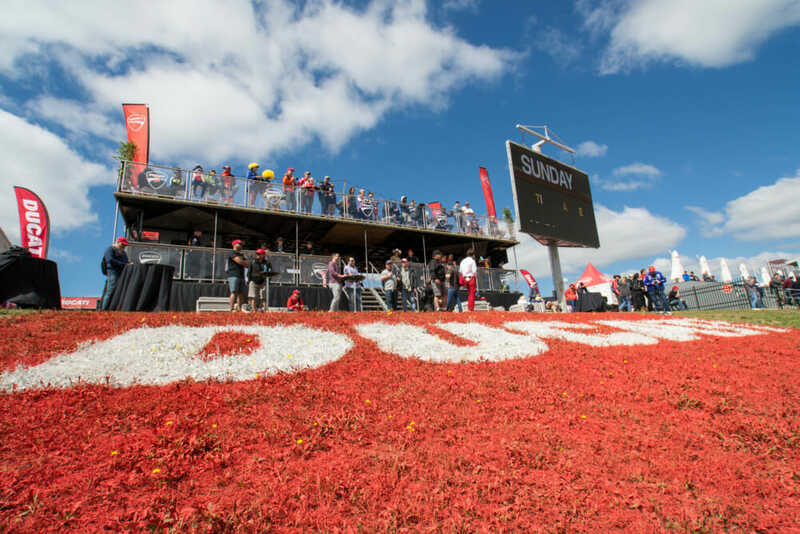 Mountain View, CA (February 11, 2019) – Ducati Island is the #1 Ducati fan experience location during the MotoGP races at Circuit of the Americas (COTA) in Austin, Texas. This year Ducati will be returning to COTA with new activities, including more than 74,000 square feet of event space offering fun and interactive experiences, such as an exhilarating Zip Line ride over Turn 1, a Ducati Parade Lap on the track, Italian inspired lunch and hospitality suite for Ducati owners, live music entertainment, MotoGP rider appearances plus much more. This is Ducati’s biggest North American event of the year, with limited ticket packages now available: they will sell out. Three-day Ducati Ticket Packages are now available for purchase here. 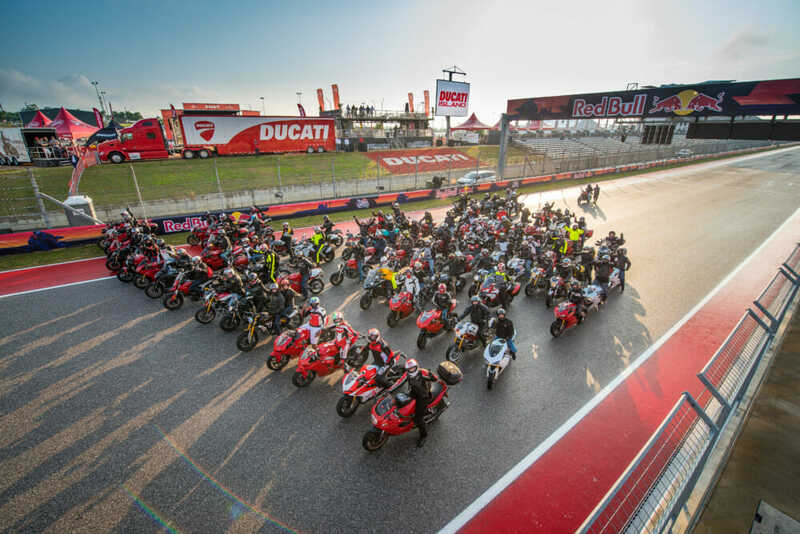 From April 12-14, Ducati takes over the entire Trackside East area at COTA, allowing for Ducati-only parking and demo rides of Ducati’s newest Scrambler Ducati family , in addition to amplified thrills of live entertainment and the possibility to meet racers during MotoGP team visits. 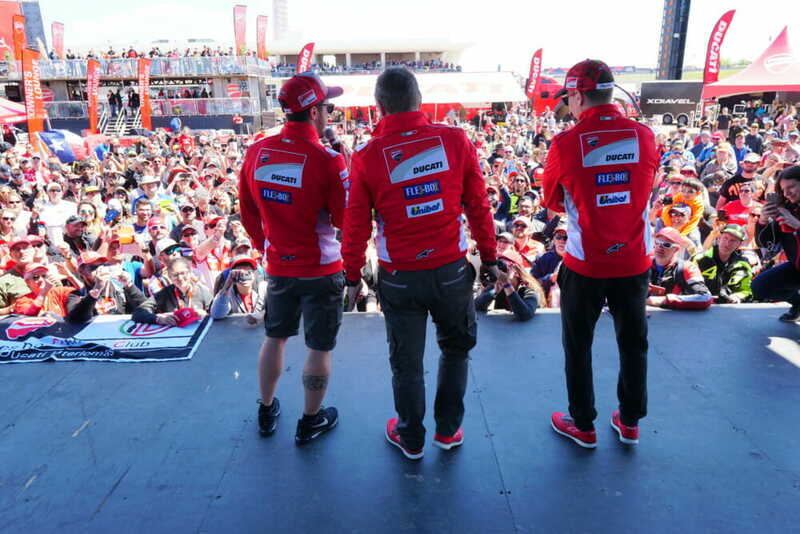 Tens of thousands of fans came through Ducati Island last year, and these ticket packages are the best way to experience the race and cheer on the Ducati Corse team with other Ducati fans. The Ticket Packages start at $239 per person for a Turn 1 Grandstand ticket, and $259 for the Main Grandstand ticket will give ticket-holders access to Main Grandstand seating for three days as well as a motorcycle parking pass right onsite at Ducati Island, a Ducati Exclusive Track Lap, VIP Pit Lane Walk and “Merenda” Italian inspired lunch, as well as the COTA Zip Line flying over Turn 1 and the Main Straight. This is all in addition to access to Ducati’s VIP Hospitality lounge and signature Ducati Welcome Gifts. All fans of MotoGP are encouraged to visit Ducati Island and learn about the brand, whether they are loyal Ducatisti or new to the brand. The MotoGP Red Bull Grand Prix of the Americas, taking place on April 14 at Circuit of the Americas in Austin, will be the third race of the MotoGP season, and the only North American stop of the 2019 race schedule.